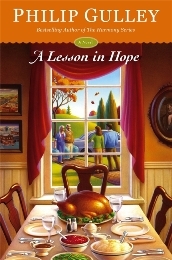 A Lesson in Hope will be available September 1, 2015. 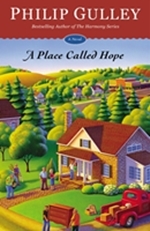 Sam Gardner has been pastor of Hope Friends Meeting for just four months when a ninety-eight-year-old member, Olive Charles, passes away and leaves her entire estate–worth almost one million dollars–to the meeting. It’s not long before this unexpected windfall creates a storm of conflicting opinions amongst members of Sam’s church as to how the money should be used. And to make matters worse, Olives’ niece Regina threatens the church with a lawsuit over what she deems her rightful share. Sam soon finds himself in over his head, trying to successfully deal with Regina’s negotiations and lead his congregation to a decision.